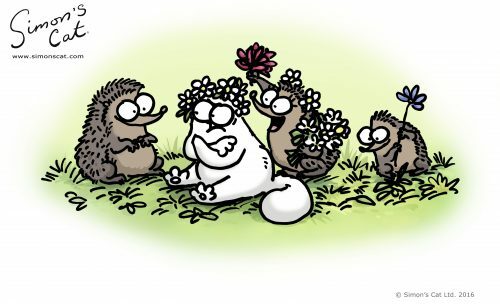 When it comes to Simon’s Cat and his friends everyone’s favourite seems to be the adorable hedgehogs! The same goes for our team here at the studio, so we decided to give you a little bit of insight into their very interesting lives. 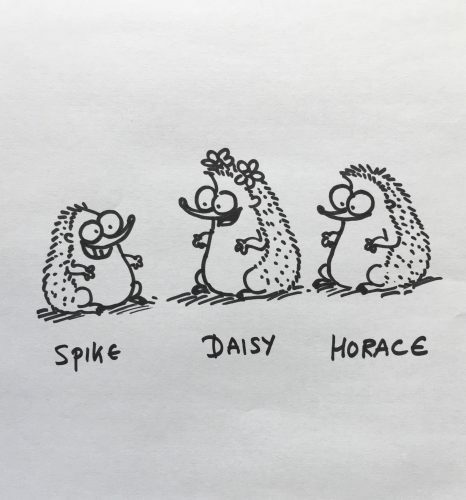 Say hi to Spike, Daisy and Horace. 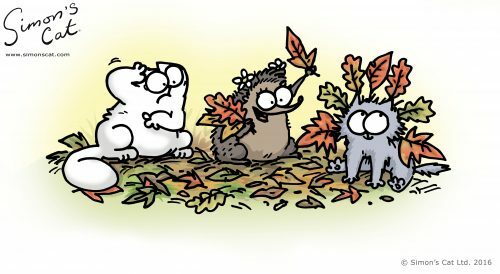 Simon’s Cat and Kitten regularly meet up with the hedgehogs and go on adventures together. They love exploring the depths of Simon’s backyard and dance when no one is watching. 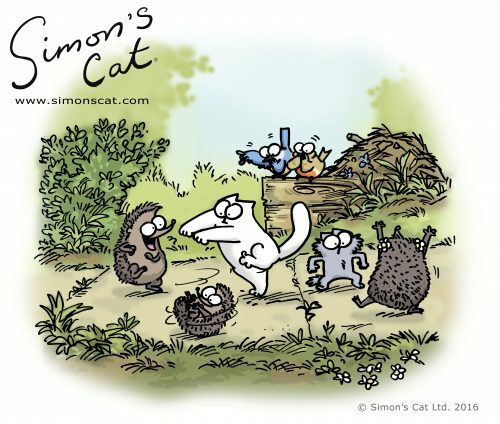 Sometimes the hedgehogs eat Simon’s Cat’s food which annoys him. 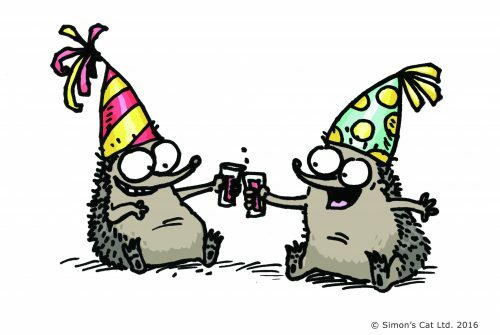 As they aren’t fond of the cold hedgehogs tend to hide during the winter months only to emerge during spring. They like playing with the leaves and pull pranks on each other. 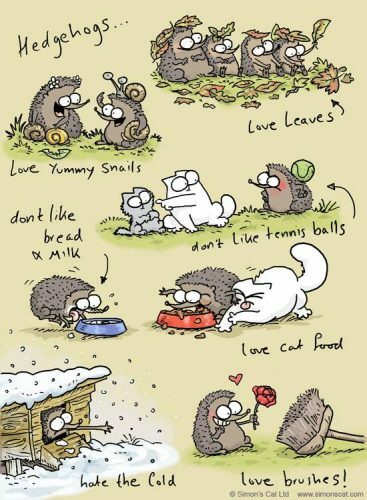 The one thing the hedgehogs don’t like are random objects getting stuck in their spines. It’s a pain to get rid of. Did you know that they have up to 6,000 spines?! Like Simon’s Cat they love to sleep all day and eat a lot. 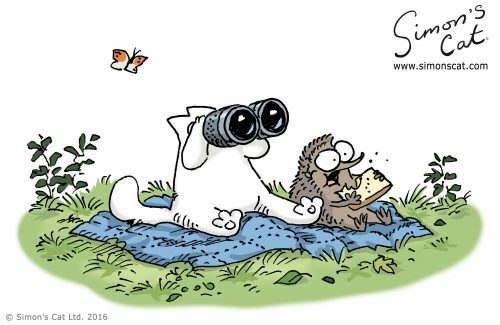 When it comes to snacks they do have a soft spot for yummy snails which the others doesn’t seem to approve of. ? Although naughty at times they are big sweethearts. They are gullible, loveable and they have the tendency to fall for the wrong …brush ❤️. Also a baby hedgehog is called a hoglet. How cute is this? You can find them in our books and videos but our favourite appearance has to be Cat Chat!